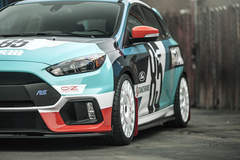 Born from Ford’s roots in rally racing, the Focus RS wears its namesake proudly. 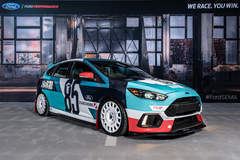 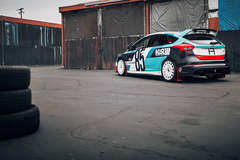 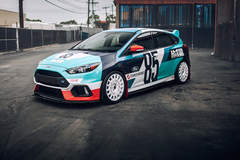 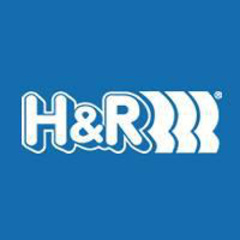 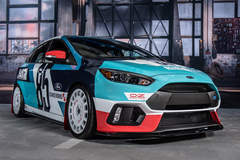 H&R Springs and StanceWorks have teamed up to celebrate the past, present, and future of the RS lineup with the latest Focus RS. 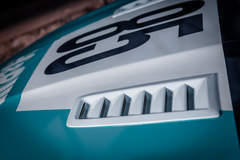 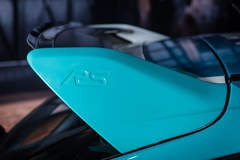 Close up shot of the Ford European Focus RS hood vents painted to match the rally-inspired Stanceworks graphics. 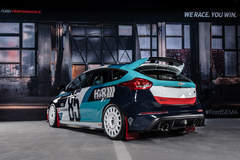 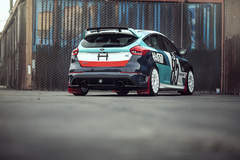 Side shot of the Ford Focus RS by H&R Special Springs and Stanceworks, bringing rally racing to The SEMA Show 2016. 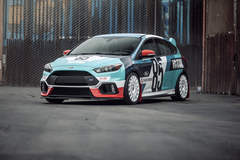 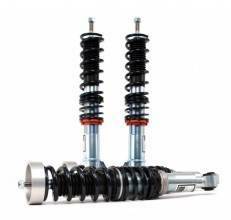 H&R Special Springs and Stanceworks were drawn to an attention to detail, seen across all angles of the 2016 Ford Focus RS. 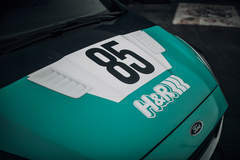 Taking elements from the European Ford Focus RS, H&R Special Springs and Stanceworks modified the hood with Ford European RS hood vents. 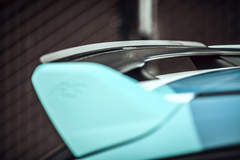 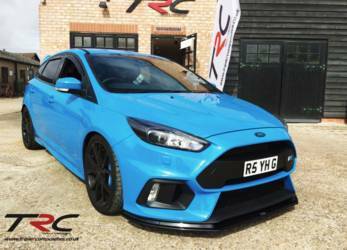 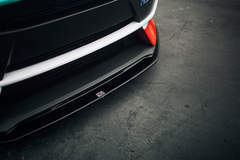 Triple R Composites front splitter complements the European Ford Focus RS rear diffuser and hood vents. 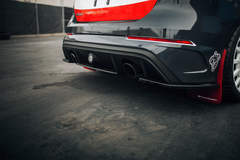 A little bit of Euro flair was added with the addition of the European Ford Focus RS rear diffuser. 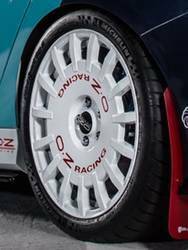 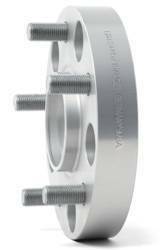 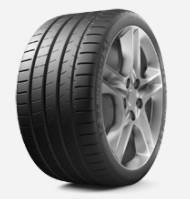 Rally Armor mud flaps help keep the Michelin man free of dirt and mud. 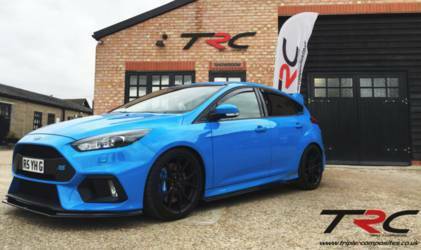 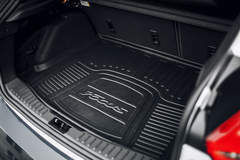 The 2016 Ford Focus RS has great trunk space, but who has time for grocery runs when you can drift around the track in your hot-hatch?